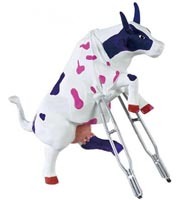 Owie Cowie | CowParade New Figurines | One Price Low Flat Shipping! From the CowParade Retired Medium Sized Cows Collection,Owie Cowie figurine. Made of resin. Measures 6" tall. Featured at the CowParade North Carolina 2012 exhibit. . 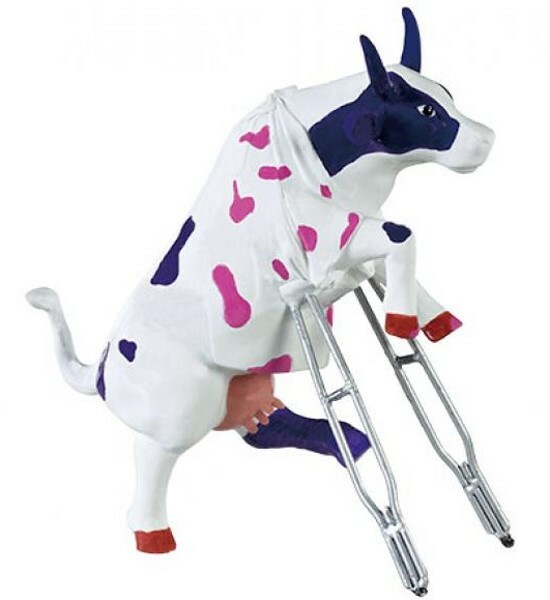 This funny holstein is in need of crutches as its front hoof is in a sling and its rear left leg is in its cast.